When you’re teaching lawyers, accountants, and other professionals how to leverage their company’s networks, the term “social selling” doesn’t always make the best first impression. White-collar professionals don’t see themselves as salespeople, and many fear that they don’t understand social media’s new role in the business world. Despite any hesitation, social selling—or social engagement, as we like to put it—can have an incredible impact. As my team learned, social selling actually humanizes the sales process, since it allows professionals to build relationships over time by engaging about relevant, organic, and valuable insights. At JLL, we recently deployed LinkedIn Sales Navigator across our team—and our performance has skyrocketed. By using LinkedIn’s Social Selling Index (SSI) score as a key performance indicator and benchmark against competitors, we were able to easily track the four elements of social selling: establishing a professional brand, finding the right decision makers, engaging with insights, and connecting and building relationships. In just eight months, our team’s average SSI has doubled. Compared to the competition, we’re now twice as likely to build strong relationships and 57% better at finding the right people. 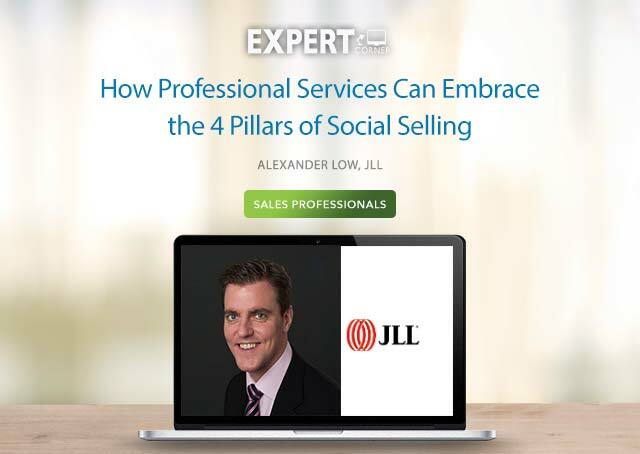 Here’s how I recommend encouraging professionals to embrace each social selling pillar—even if they’re not social media savvy or salespeople at heart. Your profile isn’t a CV—LinkedIn is used for far more than finding jobs. I tell my team to look at it like the personal profile they’d include in a pitch document or capability statement. How do you want a prospect to perceive you? What do you want to be known for—expertise in a certain sector or technical knowledge? Make sure that’s reflected in a complete profile. I show them how they can add their own research and blog posts to enrich their profiles and make them more engaging. For a little competitive spirit, I like to show them a competitor’s profile that’s got everything, and compare that to their own. I make sure that I refer back to why this is important—if your shop window is empty, the prospects will walk right on by to someone’s whose isn’t. Some professionals feel that they already know everyone they need to—it’s a reflection of how well they’re respected in the market. Even if they do, there are a lot of insights to be gained by finding and connecting with these people on LinkedIn. I flip it and show them how the people they know are using LinkedIn themselves—once they see how their clients use the platform, their interest is piqued. When professionals realize how they can refer to articles the prospect has posted and keep up with what’s happening in their world, the value becomes obvious. You can stand out from the competition and shape your next conversations with their clients. Sales Navigator is also great for finding introductions to the right people. With TeamLink, we’re able to see existing connections across JLL’s employees and tap those relationships without fear of stepping on anyone’s toes. I refer back to my earlier comment about keeping your shop window that is full—while it’s necessary to have content that’s interesting to customers, if you don’t keep it fresh, your customers will lose interest. It’s the same reason retailers always keep changing their displays. As professionals, they need to make themselves stand out from the rest of the competition. In professional services, you stand out by your market knowledge and expertise. If you share and show this in easily digestible ways, you’ll reap the rewards. It’s not just about being a lawyer or an accountant—it’s about what else you bring to that goes above and beyond that. Conversely, by saving leads, we can see when prospects post something relevant or change positions or companies. If we engage on their post and they respond back, that gives us the opportunity to make a new introduction, which leads to call, which leads to a pitch, which leads to a deal. At first, some professionals didn’t want to share their relationships or felt they already knew the people, so there was no point in building connections on LinkedIn. I turned it around: it’s not about others seeing your relationships—it’s about you protecting them. Sales Navigator’s TeamLink feature allows us to see when other JLL colleagues on Sales Navigator are connected with prospects and accounts—removing the fear of intruding on existing relationships. If others are reaching out to your client, it’ll annoy the client and make you look disconnected. Instead, the business will defer to you first, enabling better collaboration and wider opportunities, which reflects well on you. It’s a win-win. Furthermore, when you enable other prospects and clients see your connections on LinkedIn, it adds to your credibility in the market and can lead to more referral business. The term “social selling” may not instantly convey its full value to those in professional services. That’s why I don’t emphasize the social or selling. 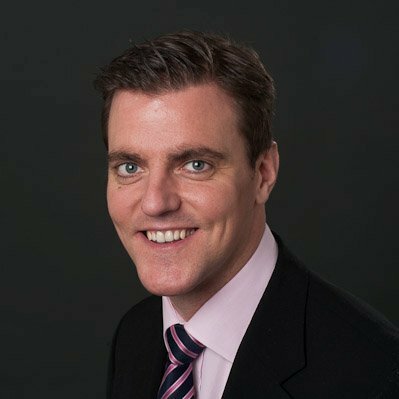 I make it about the professionals themselves and how it can help them to do business better, whether they’re managing existing relationships or developing new ones. This shouldn’t be seen as a task they have to do or another system to use--it should become part of the DNA of a normal business day. It’s not just some buzzword: it’s a critical evolution of how we interact on a day-to-day basis with our customers.